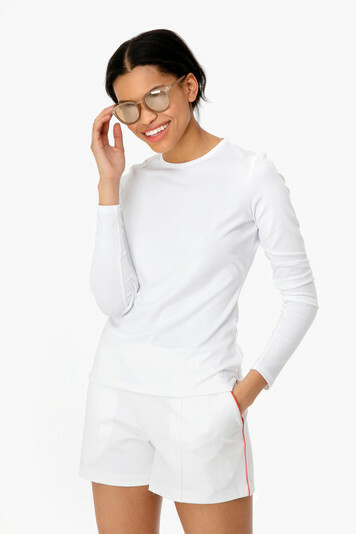 This long-sleeve crewneck tee is made out of performance jersey and offers a UV protection of 25. 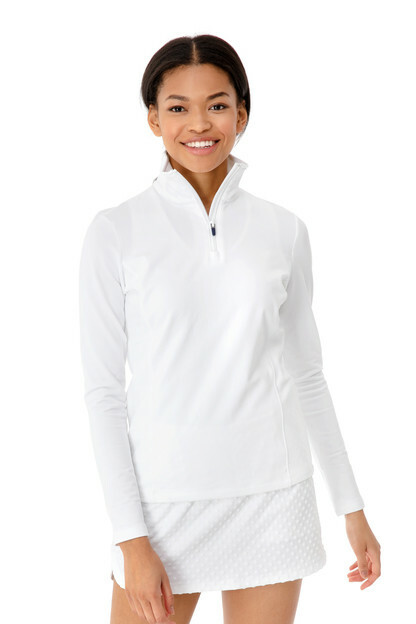 Great fit, simple and chic - perfect for the tennis court or any workout!! 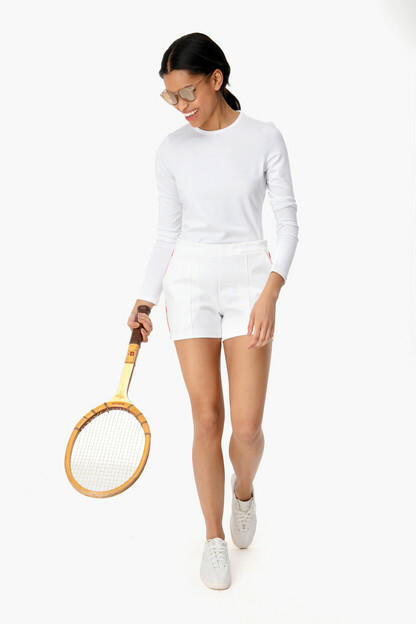 Bought this to wear with the A-Line skirt by the same designer and it was such a cute look for tennis! I found the fit true to size!